Look up ’70s power-pop group Big Star on Wikipedia or Allmusic.com and you’ll read a glowing biography of recorded brilliance that was brutally smothered by the unjustness of life in the music business. The story that you’ll read will make plenty of “I could’ve been a contender”-type allusions, comparing the group to the Velvet Underground and pointing out the bitter irony that the band endured years of non-existent record sales only to be exalted by their million-CD-selling musical progeny decades later. What you’ll really learn from these stories of the downtrodden is that the group’s history of frustrated achievement has forever marked their recorded output as “lost classics” and labeled the band members as among rock’s great unknown soldiers. In person, however, the legend doesn’t exactly hold up. When I saw Big Star frontman/songwriter Alex Chilton at a solo concert a few years ago, he was snide and condescending to the 20 people gathered to see the old master deliver the goods. What we got was the pop songsmith singing a piece of lecherous pap called “What’s Your Sign” with deep conviction (Yes, he rhymed Aquarius with Sagittarius). The book’s author Rob Jovanovic cut his teeth by writing shortie music biographies of ’90s rock icons like Nirvana, Beck, R.E.M. and Pavement. Given that each of his books arrived so quickly after the subject had made onto the public’s radar screens, most readers might’ve dismissed them out of hand, assuming they were either sensationalistic compilations of newspaper interviews or just trivial teen heartthrob-style profiles. “Big Star” comes the closest to Jovanovic’s loft aspirations of a total history of the group. While he offers no keen observations and his powers of description are minimal, he does speedily take readers through the band members’ origins in Memphis and follows how they made a triad of acclaimed albums in the early-to-mid ’70s that formed the blueprint for a new rock subgenre: power pop. The group members were able to combine their love of British Invasion bands and coffee-house folk music with the Stax Records soul prevalent around them to create a sound that melded the pretty vocal harmonies and taut structures of pop with the crunch of guitar rock. 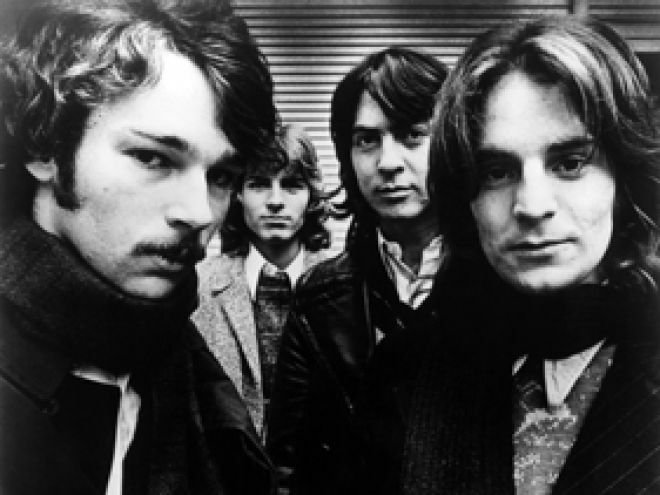 A generation or two later, Big Star’s music would be a key touchstone for alt-rockers like the Replacements, R.E.M., the Jayhawks, Teenage Fanclub and Matthew Sweet. But in spite of Big Star’s instantly catchy songs, Jovanovic tells how the group was plagued by bad luck from all sides. Record label politics, internal friction and substance abuse would continually short circuit Big Star’s momentum. After each album, it seemed like the band would fall apart only to reconvene some time later with slightly different personnel to produce yet another classic. Then, it too would sink once it went to market. The band survived off and on for only a few years as critics’ darlings, but was never able to escape their cult status. The book also offers rare portraits of the group’s head duo, Chilton and guitarist Chris Bell. The pair wasn’t exactly a study in contrasts, but it’s still intriguing to read how Chilton, the music pro barely out of his teens, so quickly hooked up with Bell, the inexperienced Beatles enthusiast and burgeoning control freak. Chilton had already achieved big-time chart success with the Box Tops but was just getting his footing as a polished songwriter while Bell had only played in local bar bands, but was the clear leader as they began recording. As time went on and the band’s career continues to stall, it’s fascinating to see their roles reverse to a certain extent. The book lacks fresh reflections from either man (Chilton refused to participate and Bell died in the late ’70s), but Jovanovic uses some candid quotes from old interviews, which gives both a voice in the events. Jovanovic’s book becomes more broadly episodic after the group’s final breakup in 1974, but traces Bell’s initial forays into a solo career before his tragic death in a car wreck as well as the years of individual struggles that preceded Chilton and Stephens reforming Big Star with the Posies’ Jon Auer and Ken Stringfellow in the early ’90s. Jovanovic trails their activities right up to the recording of the new record, which was released last month. This book won’t lead to a shocking reversal of fortune for Big Star. The book is valuable though because it sheds more light on this forgotten band and its undervalued catalog. But more importantly, it fleshes out the band’s story to see the mortal men behind the martyred legends. Tags: "Big Star: The Short Life, Alex Chilton, and Unexpected Resurrection of the Kings of Power Pop", Ardent, Big Star, book, Chris Bell, Memphis, Painful Death, Rob Jovanovic. Bookmark the permalink.